Friday was nomination day in the Big Brother 12 house and the drama was at full force! Everyone in the Big Brother house was pretty certain who was going to end up on the elimination block this week. The day was chock full of fights, back-alley deal making attempts and a whole lot of interesting twists. We can’t possibly recount all the crazy stuff that goes on in the Big Brother house over the course of a day. However, yesterday was a big one, so we thought we’d try to bring you some of the highlights. The Houseguests are usually blasted out of bed around 9:00 AM BBT (Big Brother Time to those using the Live Feeds) and Friday was no exception. Shortly after dragging themselves upwards, Brendon and Matt are already speculating over the possible return of Pandora’s Box. 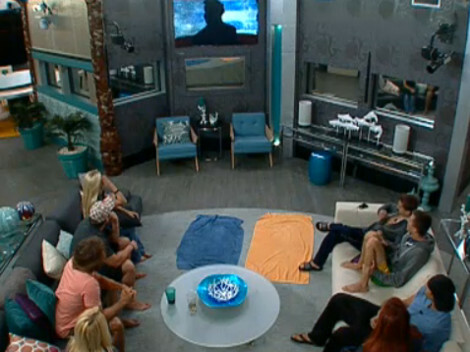 Matt has been locked out of his HOH room and this pretty much says something big is happening up there. We know, of course, they are dead on on in thinking Pandora’s Box will be back. Pandora’s Box will indeed come back into play later in the day. Plus, Big Brother fans have already voted that they would like to see Ragan as the new Saboteur if Matt does indeed open Pandora’s Box. If you aren’t familiar with Pandora’s Box in Big Brother, here’s the basic idea. If the Head of Household chooses to open the box, they get a luxury item, special power or some other surprise. However, something bad for the house also happens. 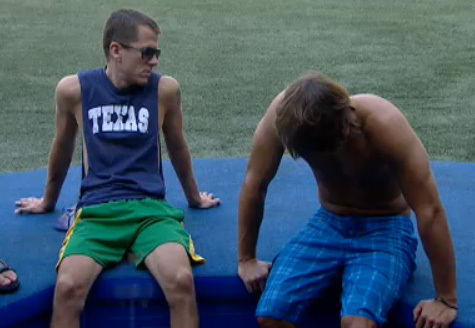 About an hour later, Brendon suggests Rachel try to bribe Matt with her $5,000 prize from the Veto competition to keep him from nominating them for elimination. Around 11 AM BBT, Rachel warns Head of Household Matt that if she and Brendon were both put up, one of them would win the Power of Veto and he’d still have to deal with one of them being in the house. He agreed she might be right. Naturally, he doesn’t really seem to care. Skipping ahead to about 1:30 BBT, Rachel accuses Ragan of being in an alliance with Matt. Then Brendon accuses Matt and Ragan of ganging up on Rachel and it gets way fun! Matt, meanwhile, is just grinning over all the drama he has created. If you have the Live Feeds, you’ll want to use the rewind to check out this one! A little later, Rachel tries to recruit Matt into an alliance with her and Brendon. Matt dances around the question madly without really saying much of anything. 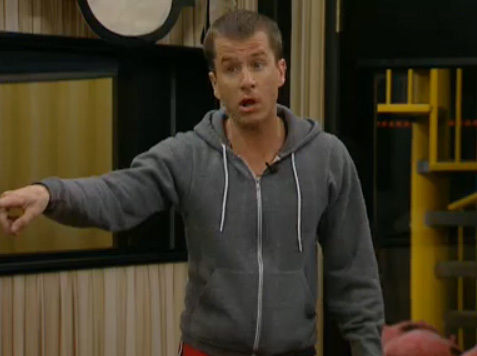 Around 5:30 BBT, after the HOH room has been unlocked, Matt spills about what happened with Pandora’s Box. He claims that he opened the box, but only won a single dollar and that was it. Anyone who believes that crap is a total idiot. A little while later, the Live Feeds go down for the Nomination Ceremony. At 7:00 PM BBT the Live Feeds return and the nominations for elimination are revealed. Matt has, of course, nominated both Rachel and Brendon. Brendon seems to take it rather well, but Rachel is crazed over being put on the block. The Houseguests are on lock down from going outside, which is too bad – because it looks like Rachel needs some serious fresh air. Brendon swears to Rachel that he’d rather have her than the money he’d take home if he won Big Brother. We really hope he isn’t actually considering saving her instead of himself if he wins the Power of Veto on Saturday. He may be spewing his endless love to Rachel, but we really, really hope he isn’t that stupid. Because Matt opened Pandora’s Box, the Saboteur returns to the Big Brother house. At 9:30 BBT, the Houseguests gather to watch a message from the new Saboteur. Ragan, who America chose for the job, acts totally shocked over the whole thing. He actually looks pretty believable to us. We think he might be good at this! Right around midnight, the Houseguests are finally released into the backyard to find the set up for the Power of Veto Competition. So who is going to win the POV this week and will they choose to save one of the nominees? Guess we’ll have to wait until later today to find out! We’ll let you in on the scoop on what happens at the POV competition as soon as we know. That’s a wrap of the Live Feeds for Friday. If you want to catch all the action yourself, check out a 3-Day Free Trial of the Big Brother 12 Live Feeds here.